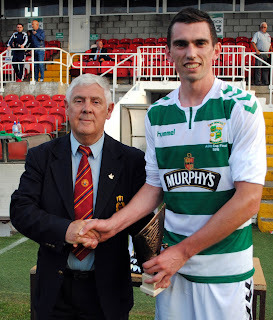 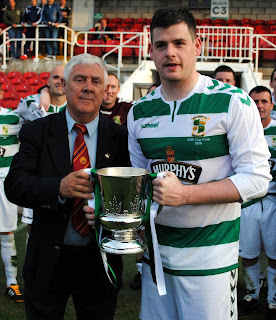 Ted O'Mahony (Chairman Cork AUL) presents the AOH Cup to Park United's captain Lar O'Flynn following his side's 3-0 victory over Village United at Turner's Cross on Sunday night. Ted O'Mahony (Chairman Cork AUL) presents the man of the match award (Sponsored by Gary McCarthy Trophies) to Shane Beston after the game. 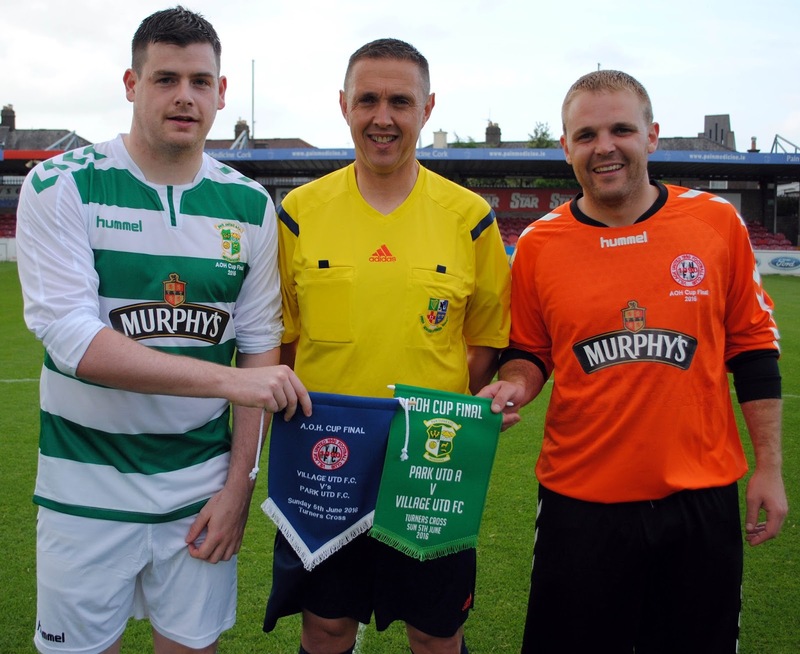 Park United's captain Lar O'Flynn and Village United captain Tomas Butler exchange pennants before the AOH Cup Final at the Cross on Sunday night. Also in the picture is referee Ray Murphy. 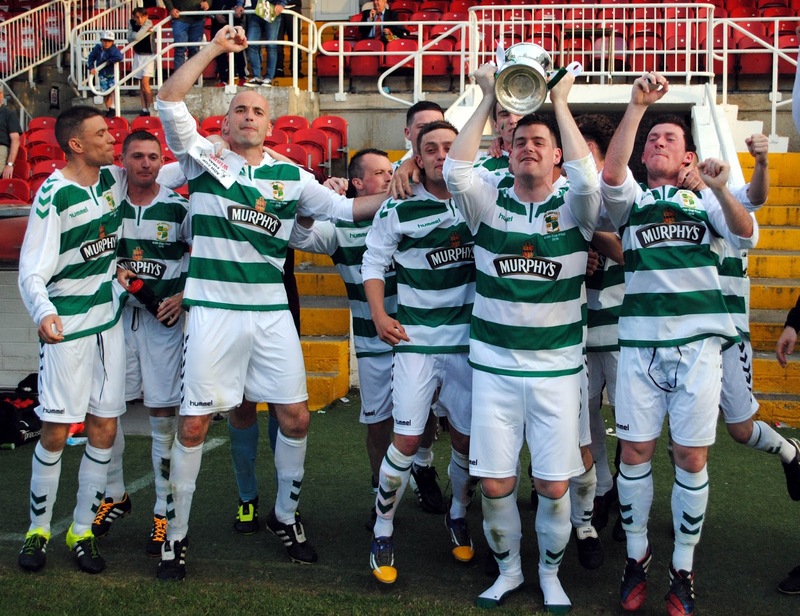 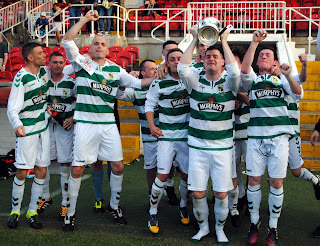 Park United players celebrate after being presented with the AOH Cup following their 3-0 victory over Village United at the Cross on Sunday night.